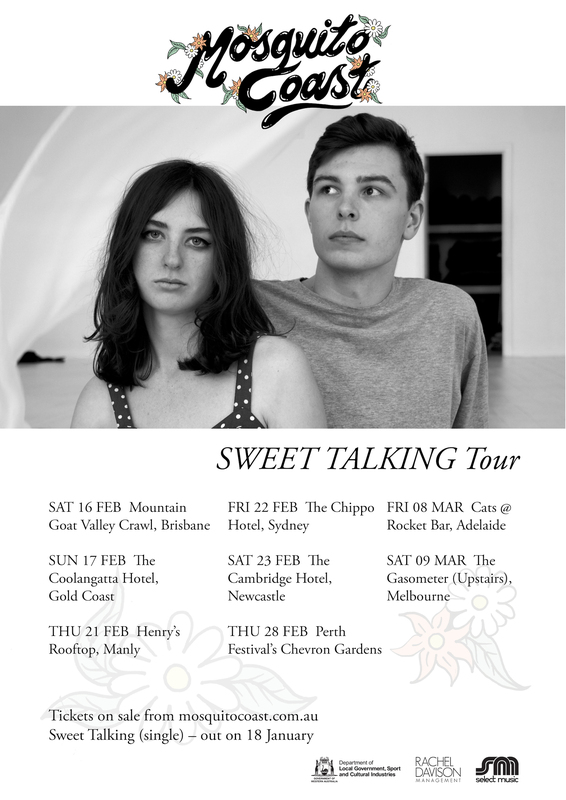 We're heading out on a national tour this February & March taking in capital cities and visiting the Gold Coast and Newcastle for the first time, as well as opening for Beach House at Perth Festival! The tour is in support of our new single ‘Sweet Talking’ to be released on 18 January – it's the second single off our forthcoming LP, which was recorded in NYC last year with French producer Nicolas Vernhes (Animal Collective, Deerhunter, The War on Drugs, Moodoïd and Dirty Projectors). We'll be releasing the album a bit later in the year and in the meantime, see you at our one of our shows!